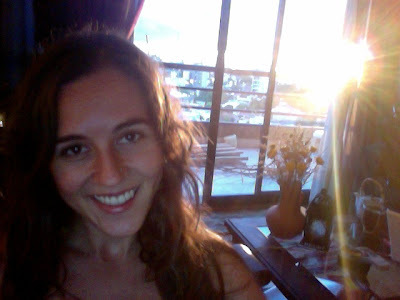 Life In Argentina: Final update for 2011! So this is it people, our first year spent in Argentina! In 3 hours we will be heading to the Buenos Aires international airport to fly back to Australia for a 1 month holiday of parties, weddings, surfing, feasts, beach bumming, birthdays and friends. We then return in mid January and are off on our next edition of Argentine adventures. We have already booked our next travel destination to El Calafate in January and will definitely be starting 2012 with some great photos of the glaciers and mountains in Patagonia! So how can I sum up the year here in Argentina- our first year living and working abroad. What words can I use? It has been challenging and amazing and fulfilling! I am looking forward to flying back to our home here and start the next year fresh and full of energy! My happy place has always been the beach and my family, but without these things here in Argentina close by, it has been my home and happy place to be together with my Chris. Our home is each other together and wherever we are in the world we have our home. I couldn't have done this year without him- I have been so encouraged and supported and loved. I have an amazing best friend who loves me completely and I LOVE the adventures and experiences we are sharing together. We are so completely blessed, thank you Lord Jesus for my amazing man and the amazing life I get to have- words can't describe why I get to have such a beautiful life- I'm just so thankful! Overwhelmed with the love and goodness we have, I hope I can share this fullness and bring glory to my King. I write this blog post as the sun is setting here in Quilmes on my little sofa, drinking mate with a big excited smile for the summer holidays ahead. I can't wait for hugs from my mum and dad and sister! Of course I'm looking forward to food fun and my beaches/scuba diving, but just the touching back in my homeland will be something very special!! Thanks for reading if you have been following and will be updating again in January. Besos y abrazos mis amigos! 2 weeks to go and flying back to Australia!